A Bitcoin wallet address is a long string of characters. The QR Code makes it easier for a computer to scan the address. There are many ways to create a Bitcoin wallet. Blockchain.info is relatively safe. It is simple which is good because you don’t want to loose your Bitcoin by accident. When you use blockchain.info or any other applications to create a Bitcoin wallet the system creates a private key and one or more public key. A person who knows your Bitcoin wallet private key address can spend the Bitcoin in your wallet. You must keep it safe and never share it to anybody or enter it onto any website. Make multiple backups on USB or paper. The public key address is for receiving Bitcoin. It is safe to share your public key address. 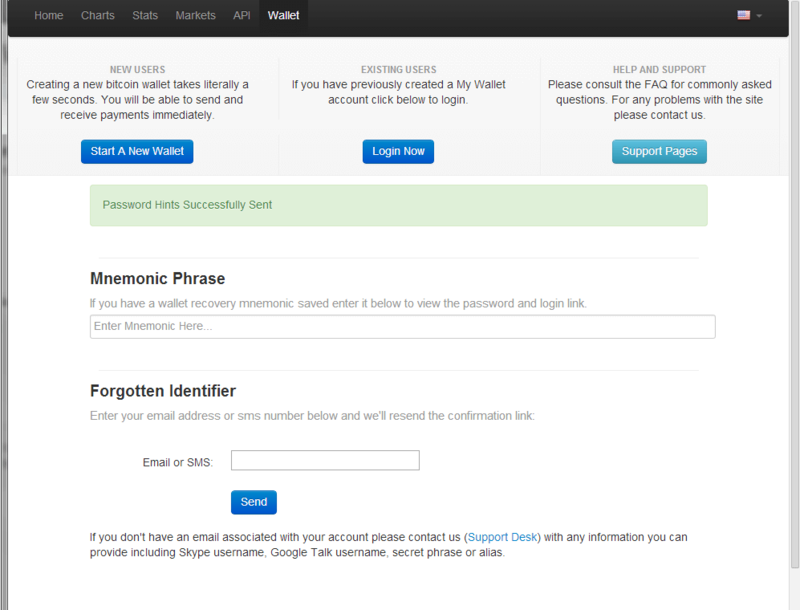 When you create a wallet with Blockchain.info the private key is stored on the server encrypted. You can backup and download the encrypted private key onto your computer for storage. You should test your blockchain.info wallet by buying small amount of Bitcoin on our ATM. 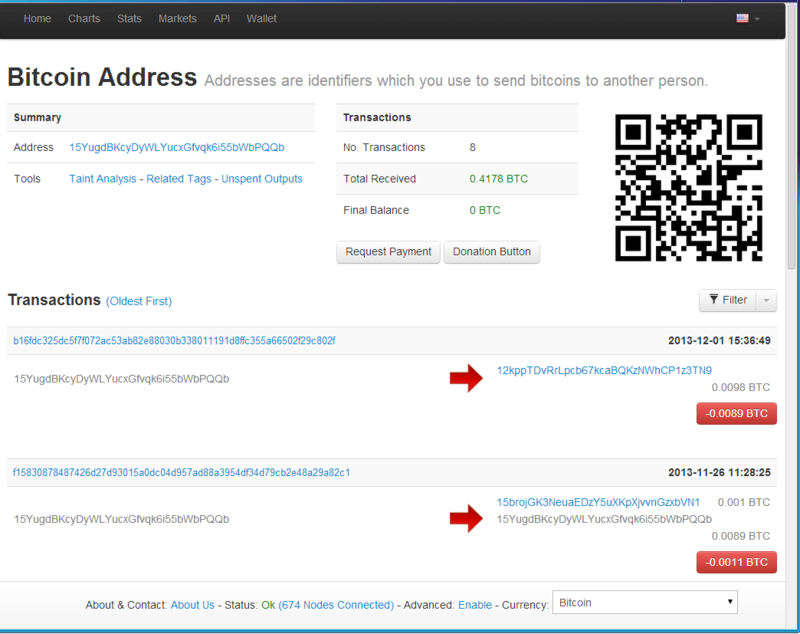 You can test your wallet by send some Bitcoin to your friend or our donation wallet address 15YugdBKcyDyWLYucxGfvqk6i55bWbPQQb or QR Code below. Press this link to check if your donation have gone through. You can enter the sender’s Bitcoin public key, receiver’s Bitcoin public key or transaction id in to blockchain.info ‘s search box to check a Bitcoin transaction or balance. You will be able to see the amount of Bitcoin being sent and time it is sent. After a transaction is done it should appear on blockchain within 30 seconds. It is very quick and is therefore a good medium for transfering money. However the receiver won’t be able to spend or send those Bitcoin until the transaction has received more than 5 confirmations which usually take 1-2 hours. After you have successfully bought Bitcoin and spent it, do a final check to make sure you have written down your password. If you have lost your password you can retrieve it using the mnemonic phrase you have written down or enter your email address (that is if you have not entered a wrong email address to register). It is pretty safe now to buy Bitcoin with your blockchain.info wallet. You can go to our Bitcoin ATM and buy anonymously. If you are buying large amount of Bitcoin you should transfer your Bitcoin to a paper wallet. There are many ways to create a paper wallet. Creating paper wallet means using a computer not connected to the internet to create the private/public address key pair. Here is a tutorial from blockchain.info on paper wallet . ** Warning, after you have create your paper wallet. Test it with small amount of Bitcoin before sending all your money to it. It is useful to enable notifications on blockchain.info. This can be done on their website. Blockchain.info will send you email / sms instantly for transactions. It is advisable to setup Google Authenticator for your blockchain.info account as soon as possible. With Google Authenticator a thief won’t be able to login to your blockchain.info account unless he has access to your smartphone. Google Authenticator is a free mobile app available for Android, iPhone, iPad and blackberry which is used to generate temporary login codes valid for 30 seconds. These codes can be used as a secure form of two factor verification providing an extra layer of security for your account. 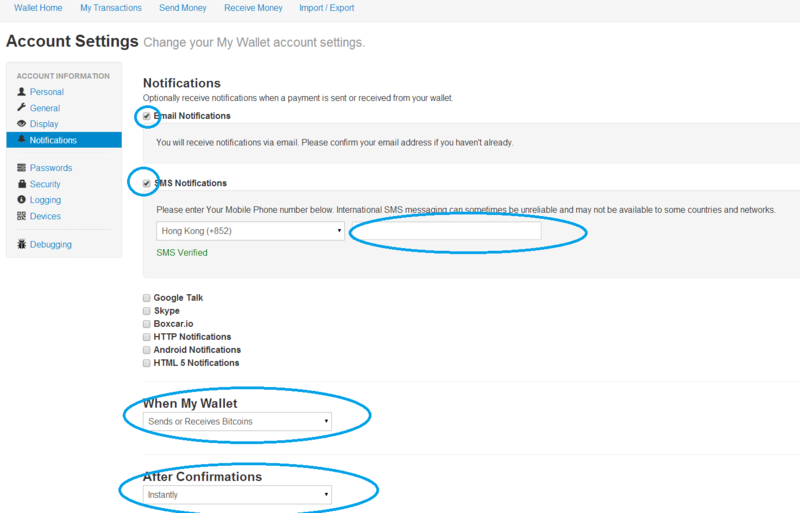 If you have a supported mobile device it is highly recommended you enable Google Authenticator on your My Wallet account. Simply the app will give you a code which you must provide before you can login. Download Google Authenticator app onto your IOS or Android device. Choose “Google Authenticator” from the selection box under the heading “Two factor Authentication”. 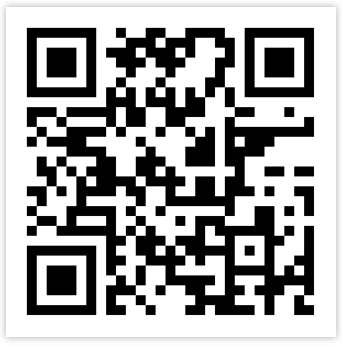 A QR Code will appear. Open the Google authenticator app on your mobile phone. Customers specially those visiting Hong Kong as a tourist can buy Bitcoin directly from ATM without needing a bank or to register with an exchange. Blockchain.info is one of the more established online Bitcoin Wallet. Blockchain.info is not the same thing as the blockchain. Blockchain (without .info) is the central database used by the Bitcoin network to keep track of all the transactions. Whereas blockchain.info is a company that make use of the blockchain. For ease of use one can create an online Bitcoin Wallet on blockchain.info. 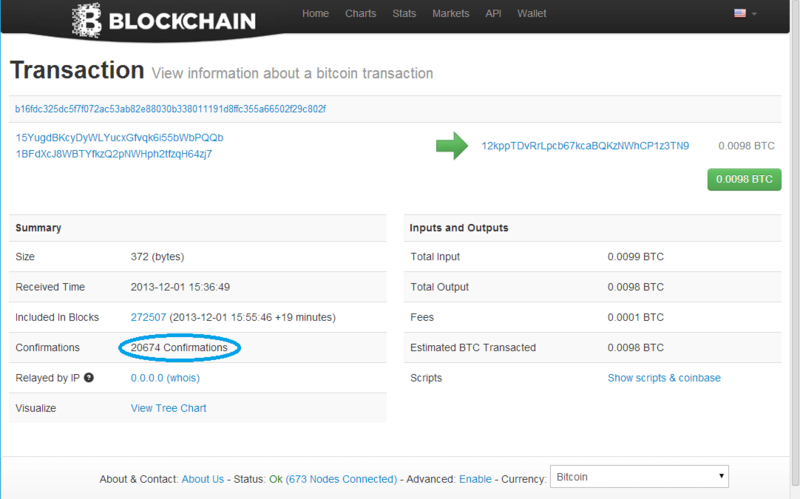 It is very convenient to send and to receive Bitcoin using blockchain.info. The Bitcoin private key is encrypted on the blockchain.info server so in theory not even blockchain.info can read your private key. Therefore it is relatively safe. Having said that one should not keep a lot of Bitcoin on any online Bitcoin Wallet including blockchain.info. For large amount, you can transfer your Bitcoin to your offline or paper wallet from blockchain.info. **Warning. The shutdown of Mt.gox teaches the Bitcoin community not to keep Bitcoin with an exchange. If you are buying from an exchange it is advisable to withdraw Bitcoin onto your paper wallet. * Disclaimer : HK Bitcoin ATM is not associated with blockchain.info. The recommendation on this tutorial is based on what we think is most secured and convenient.